Continuing from my earlier post, I decided to revisit the Forbidden City to finish up the rest of the tour since I wasn't able to complete during my first. Yeah and I say again. The place is damn bladdy big. This time round, I checked out the East palaces of the Forbidden City as well as the mini replica palace even further East where Emperor QianLong retired after passing the throne to his successor. Anyway, this series of entries is not meant to be a virtual tour. I am sure there are websites out there that does a much better job than I do. Besides, I think there is too much material to cover to make this a even remotely credible tour review. What I would do instead is to feature a few photos that have caught my eye, over the next few entries and share my thoughts on them. 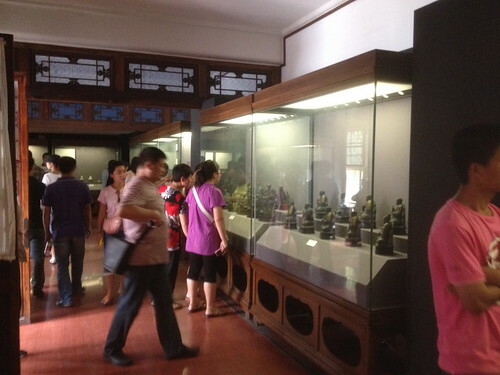 I came across this exhibits of statues of the 十八罗汉. 18 high monks that I got to know from all the sword-fighting dramas and usually associated with the Shaolin Temple. In every movie or serial drama, there will be these 18 monks that has this martial art formation by the same namesake that they either use it to defend the temple against aggressive intruders or when one of the temple's star pupil need to defeat in order to "graduate". 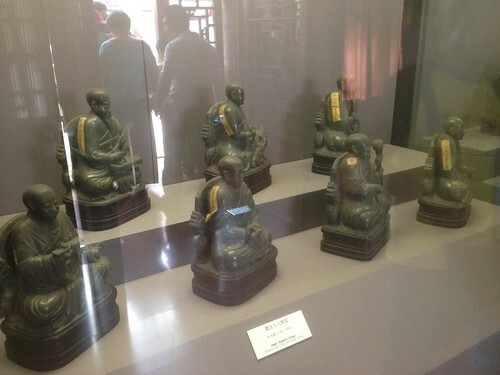 There are also the 十八铜人 or Eighteen Bronze Men which is a spin-off from 十八罗汉. Some movies depict them as mechanised robots which the star pupil must make it through the tunnel that is guarded by these 18 men. Other versions depicts them as monks with a bronze paint all over them. 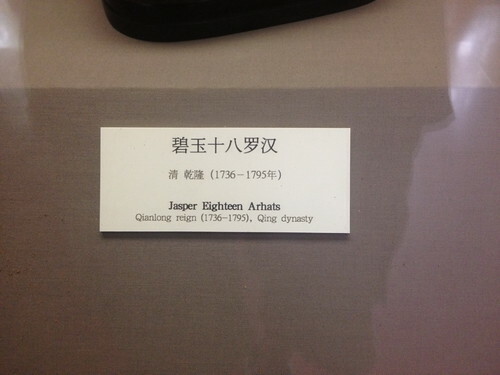 As I look closer at the exhibit, I saw the English translation of what a 罗汉 is. I am sorry but I first read it as The Eighteen Asshats.